Looking for Cheap Baby Carriers? Here are 10 that are UNDER $40! They are almost always on your baby registry, but how do you know which are really the best baby carriers on the market? Here are 10 of the best when you’re on a budget! When I was pregnant with my first child, I really really wanted a baby carrier. At almost 8 years ago, baby carriers weren’t quite as popular, at least in my area, so putting one that cost over $200 on my baby registry just wasn’t an option. I couldn’t fathom asking friends and family to pay that much for a carrier – especially when most didn’t even know what they were! Fast forward to now and baby carriers are all the rage. While the more expensive ones do offer great comfort and fun prints, there are plenty of great carriers at much lower price points. Here are 10 of the best baby carriers for anyone on a budget because they are all LESS than $40! It’s the least expensive on the list at a price point of less than $20 regular price, so I have to name it first. I haven’t had firsthand experience with this carrier, but the hundreds [actually over 1,000] of reviews on Amazon are pretty astounding. While it may not be a carrier that you use all the time, it would be a fabulous one to keep in the car when you need it in a pinch. A wrap was the first type of “carrier” I was introduced to because it was stocked on Target shelves and it’s the first one I actually held in my hands! While wraps take a bit more practice to use than structured carriers, they are so versatile that you absolutely shouldn’t overlook them. Unlike some carriers, wraps can be used from birth to toddler age with no additional accessories needed making them one of the best baby carriers for anyone on a budget. This Boba Wrap Baby Carrier comes highly recommended on Amazon reviews. This carrier is actually the #1 best seller in Soft Structured Carriers on Amazon. It is very similar in structure to some of the more expensive carriers but is available at a fraction of the price. Check out the amazing sale on Amazon right now! I think the Infantino Cuddle Up resembles the more expensive carriers more than any other on this list, but still sits under the $40 mark [which is almost hard to believe]! 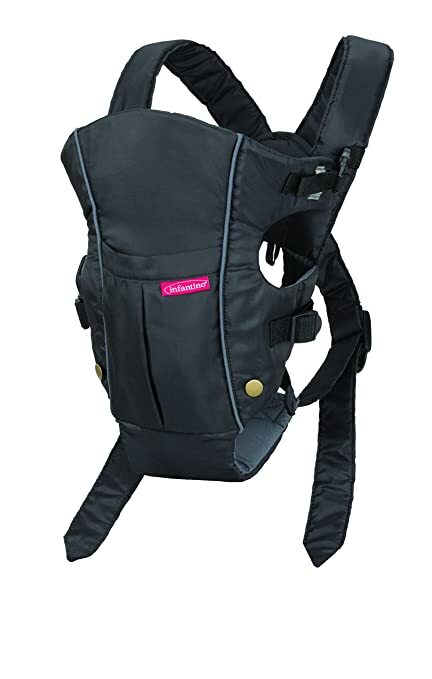 The carrier features super trendy colors and styling, front and back carry options, a detachable hood, and carries children from 12-40 pounds. It is also “Amazon’s choice” for best baby carrier! This carrier is on the higher end of our budget price, but it’s a fabulous carrier to have because of it’s size. It folds down to the size of a soda can! 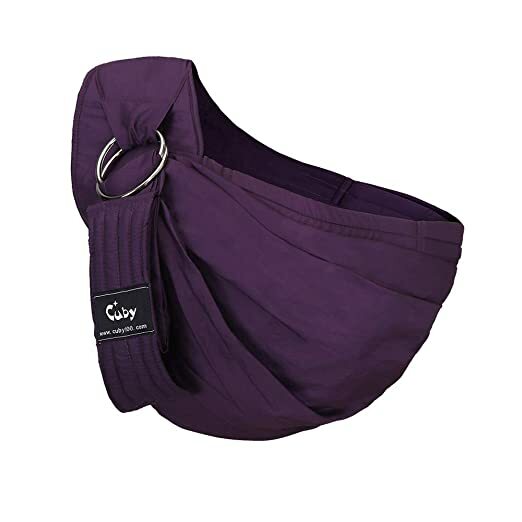 The Bitybean carrier is actually made of a lightweight nylon material that is machine washable. While it definitely works as a great carrier, I would not recommend wearing it for long periods of time. It’s an amazing carrier to have as you can throw it in your diaper bag because of the small size. While Bitybean retails for closer to $50, you can find it on sale often on Amazon for less than $40. I never could quite get the hang of a ring sling, but some Moms love them. Like wraps, they tend to be on the pricey side, but I did find this option on Amazon that features good ratings. It also doubles as a nursing cover, so that’s definitely a plus side for those of us on a budget. 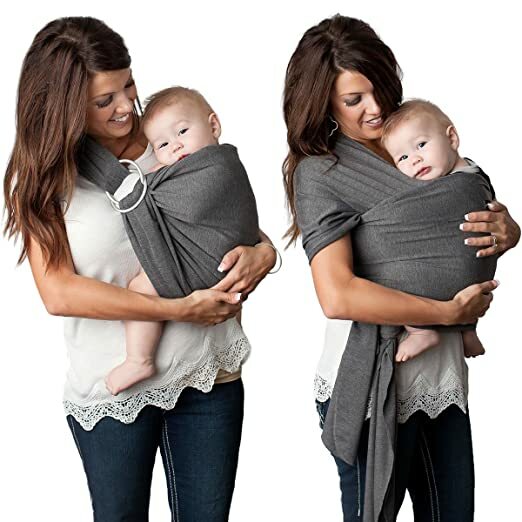 While this baby carrier is called a sling, I would definitely refer to it as a wrap since you must tie it around yourself. Ring Slings or Baby Wrap Carriers? How about both?! The Kids N’ Such Wrap can be used with or without the rings so YOU decide what is most comfortable, leaving your hands free. The Kids N’ Such Wraps special cotton blend is soft, breathable, and fully adjustable so women and men of all size and shapes can wear it comfortably. Plus it can be thrown in the washer for easy clean up. While it’s a baby carrier, it’s also great for breastfeeding/ nursing and keeps their tummy tight when worn as a postpartum belly band. While there are a few different Infantino carriers in this list, it’s for a good reason. They are inexpensive, yet great carriers that come with high reviews. With 4 Ways to carry, the Infantino Carry On Carrier is super versatile for babies from 8-40 pounds. Babies can be carrier facing in folded seat, facing in with extended seat, facing out folded seat, and back carry. Padded shoulder straps and waist belt make for comfortable long term wear and the breathable mesh panel keeps air circulation flowing for cool wearing. The carrier is also machine washable and it has 6 zippered pockets! Last, but certainly not least, is the 4th Infantino carrier on our list. 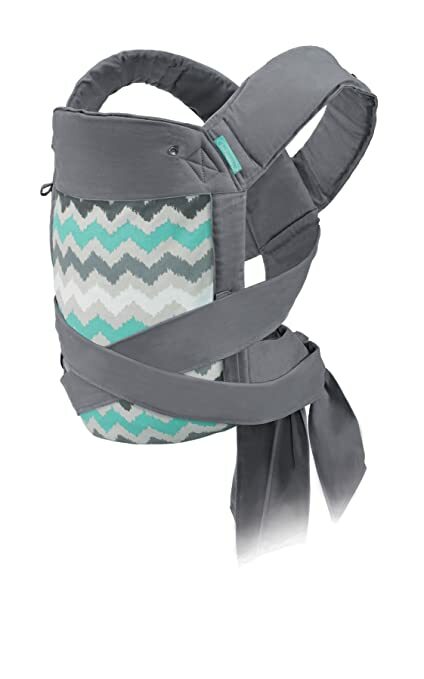 The Sash Wrap and Tie Baby Carrier features the ability to adjust and customize the fit of a wrap, but the security of a back panel like on a soft structured carrier. With over 1,400 reviews and 4.5 stars, this is definitely one of the best baby carriers that you could choose for under $40. While I sometimes believe you get what you pay for, this is another amazingly cheap baby carrier option. And if your budget is low, it’s better to have some kind of carrier than none. 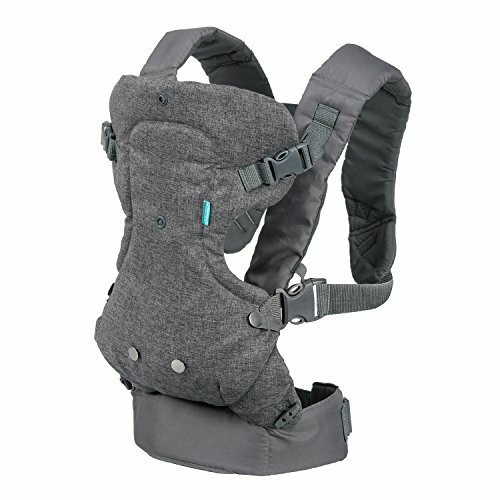 That’s why this one made the list and believe it or not, for a $20 carrier, it has plenty of positive reviews! Besides looking for less expensive options, there are other ways to save on the best baby carriers. You can purchase second hand through Facebook Local Selling Groups, Children’s Consignment Sales and Stores, and from friends who have children that have outgrown their carriers. I would also encourage everyone is interested in carrying their babies to check out a local Babywearing International group. It’s a great way to see a variety of carriers up close and personal and even try them out with lending libraries before you purchase. You can also include your favorite baby carrier on your Amazon Baby Registry. Even if someone doesn’t buy it off your registry, Amazon gives Prime members a discount on items left on their registry as a completion discount! Must have! All my mom friends said you have to get the 360 and I’m so glad I did! Best purchase we made. My babe loves looking around at everything at the grocery store, zoo etc. and I forget she’s even there most of the time! I had always believed that decent baby carriers were way beyond my budget, but thanks to this article I was able to find a couple that were really great for an awesome price. Now I can carry my son around all the time without getting tired. Thanks! Love love love this!! I feel like babywearing has such a stigma that it has to be expensive and that is totally not the case!! So many cute and reasonable carriers! !